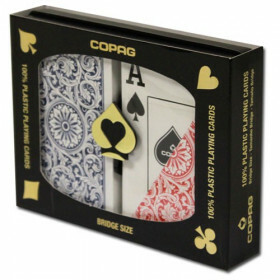 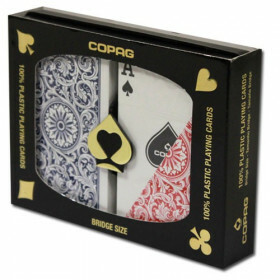 COPAG dealer kit includes 1 COPAG white bridge size (2.25" x 3.5") cut card, 1 white COPAG dealer button. 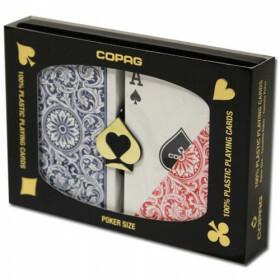 big blind button and little blind button. 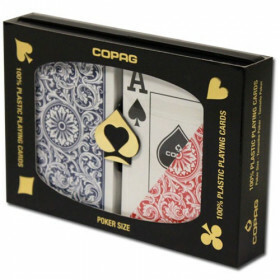 Create a complete casino experience for your next home poker game or tournament with this COPAG poker dealer kit. 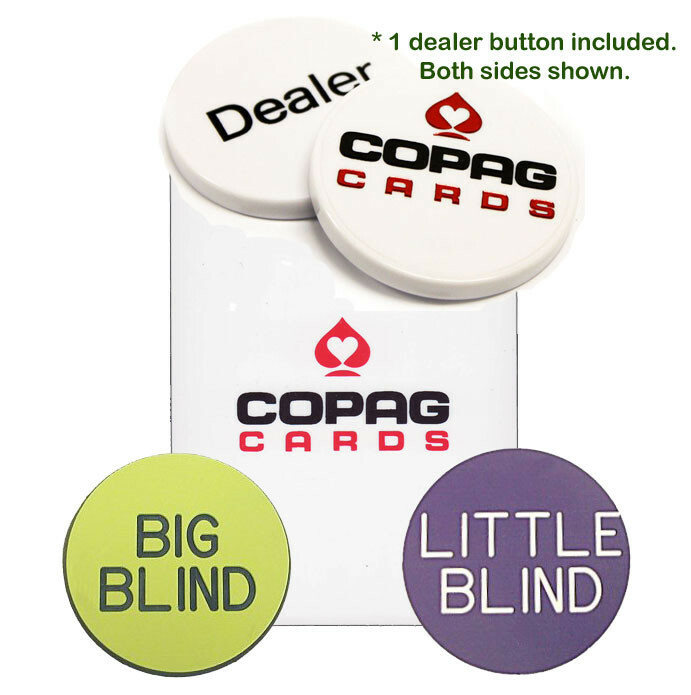 Use the included COPAG dealer button to designate the dealer position, and use the big blind and little blind buttons to keep track of who owes what.